Product information "EDGUY - Vain Glory Opera (Anniversary Edition) - Ltd.Gtf. GREEN 2-LP"
1998 was a special year for EDGUY as their second album “Vain Glory Opera” was released. It was this album that made their international breakthrough possible and paved the way for their international career. Some 20 years after the release finally a new version is made available – for the first time ever as Digipak and Vinyl (in different colors). In the meantime, EDGUY have made their way to one of the leading European melodic metal bands and mastermind Tobias Sammet also created AVANTASIA which has grown to be much more than a project, selling millions of albums and doing sold out world tours. Related links to "EDGUY - Vain Glory Opera (Anniversary Edition) - Ltd.Gtf. 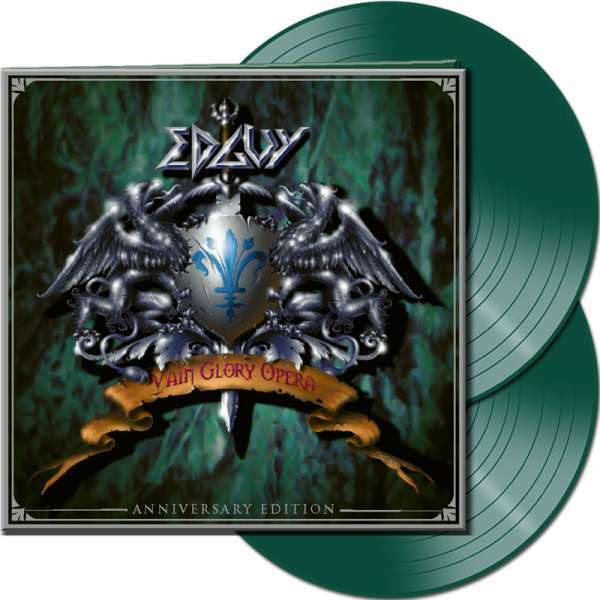 GREEN 2-LP"
Customer evaluation for "EDGUY - Vain Glory Opera (Anniversary Edition) - Ltd.Gtf. GREEN 2-LP"